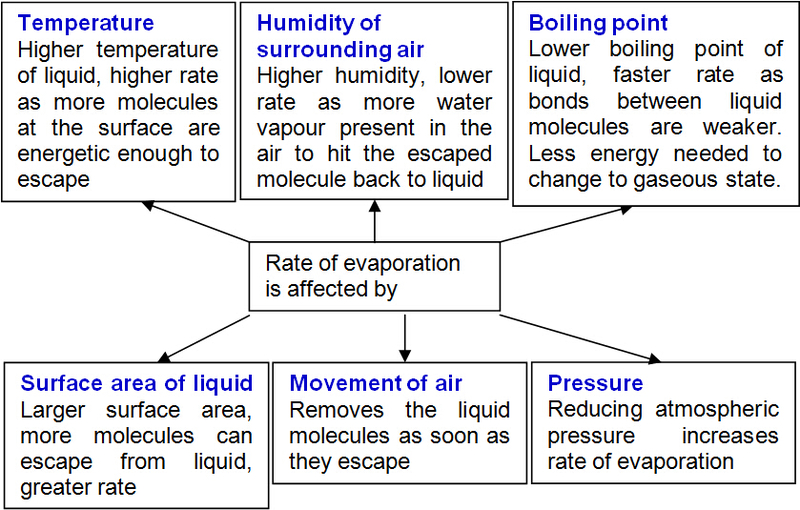 Evaporation is a process which a substance changes its state from liquid to gas without boiling. Molecules in a liquid have different kinetic energies (different speeds). The more energetic molecules absorb heat from surrounding and overcome the intermolecular bonds between other molecules and escape into the atmosphere. The less energetic molecules are left behind. The average kinetic energy of the molecules in the liquid decreases, so temperature of liquid decreases.